The election season is here with the first phase of Chhatisgarh assembly elections conducted on November 12. It will continue with the second phase of polls in the state followed by assembly polls in Madhya Pradesh, Mizoram, Rajasthan and Telangana. The state elections will be followed by the crucial Lok Sabha elections, which is expected to take place in April-May 2019. All citizens who have attained the age of 18 years are eligible to cast their votes in this festival of democracy. The Election Commission of India sets up polling booths across the constituencies. There may be one or more polling stations in one constituency, depending upon the demography. 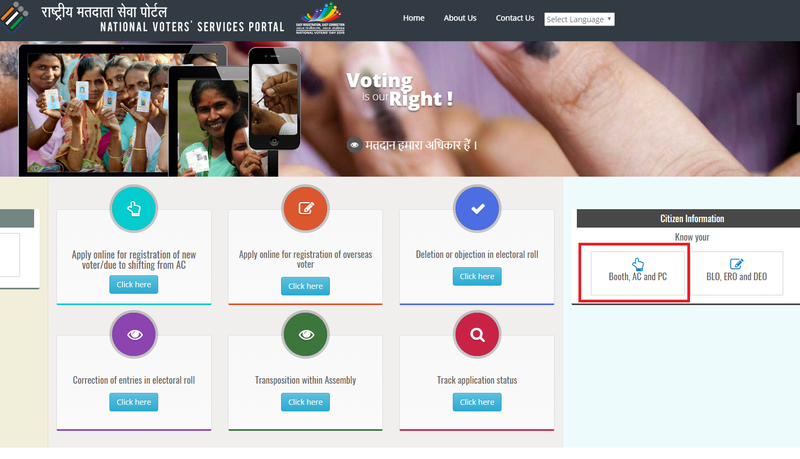 >Go to the National Voters’ Services Portal (NVSP) and click on ‘Booth’ option present on the right side of the page. >It will take you to a different page where you have to fill in certain details such as name, age and gender. >You need to fill in name of your state, district and assembly constituency. You can also locate your constituency on the given map. >Once all the columns are filled, enter Captcha code and hit ‘search’. If you have your voter ID number (also called EPIC number) with you, the process becomes even simpler. >Fill in your EPIC Number and name of your state. >Enter Captcha code and hit ‘search’. You will get the name and location of your polling booth as well as timing to cast vote instantly.